Is it time to clean and service your furnace? As autumn approaches, so do visions of chili in the crock pot and crisp, cool nights. It's also time to start thinking about the upcoming winter months and the importance of keeping your furnace functioning optimally. Before that first cold snap hits, you may want to beat the rush in ensuring your furnace is working properly. Regular furnace maintenance and service will keep the unit in good working order, ensuring the safety and well being of you and your family. For over 20 years, R Fulton Improvements has provided local residents and businesses superior furnace maintenance and service. Call (678) 251-9181 to schedule your furnace maintenance and service today! 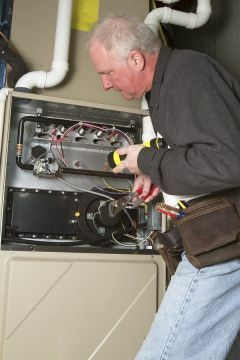 How will R Fulton Improvements Service Your Furnace?